While developing games I'd like to work a little different than most. I prefer to work on what is called a 'vertical slice'. This means you don't bang out the entire game in some prototype form with placeholder assets and incomplete or buggy code, but you focus on a part (slice) of the game that is fully polished and worthy of release. The reason I like working like this is two-fold. My attachment and commitment to the game is higher when I put in the effort to make it releasable, put in a nice title screen, working menus, some music. This also means I'm able to actually release it earlier for play-testing and feedback. Some might argue that you should start play-testing as early as possible, even if your game just consists of some red and yellow blocks instead of animated sprites. And while I agree this is a great way to get feedback from close friends or professional gameplay testers, it does not really work for a more general gaming audience. You have to give them something worth their time. Nowadays 'beta' releases of games such as Call of Duty, Destiny and others are very polished and more often than not completely finished. The part that is 'beta' is often the backend infrastructure that needs some serious load testing. Even with platforms such as Steam Direct (or Greenlight as it was previously called) where unfinished games are published, people still expect the game to be playable and not crash all the time. If you put up an 'unplayable' game you'll get 'unusable' feedback. The point I'm trying to make is this: in order to work towards a proper release and start gathering useful feedback, you need a slice of your game that is polished and acceptable for players to install and invest their time in. The idea is to have a single polished (as in stable and with a defined graphical style) level to test the core gameplay and make iterations on that, before creating levels 2 - 10. Of course anything what you consider 'releasable' as the first alpha may still change in the future. For example I've put in some assets that I have bought from various sources. This gives the game a look and style that hopefully the players find acceptable and something they can look past, while concentrating on the gameplay. However at some point I may hire an artist to repaint all the sprites and swap them out (especially for the main character and enemies). 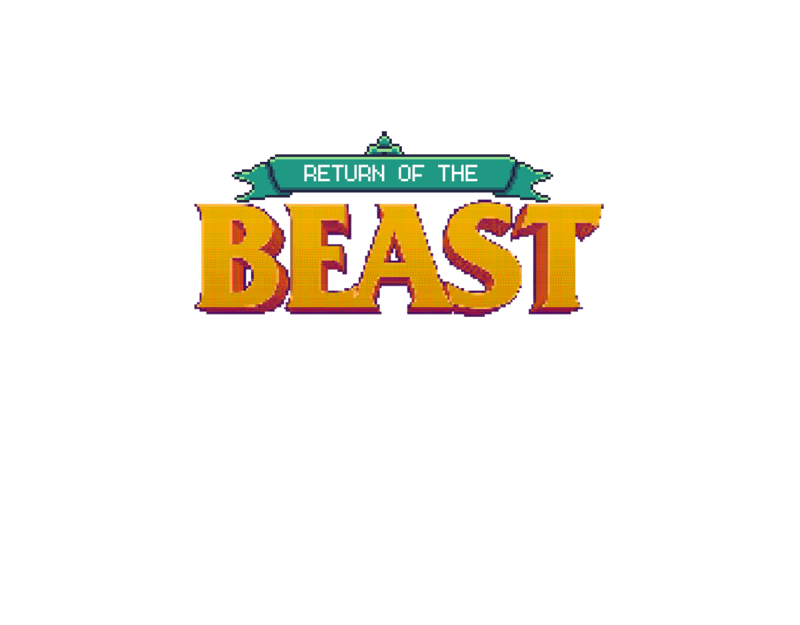 The first alpha of 'Return of the BEAST' will release on itch.io for Mac, with the PC version following shortly. 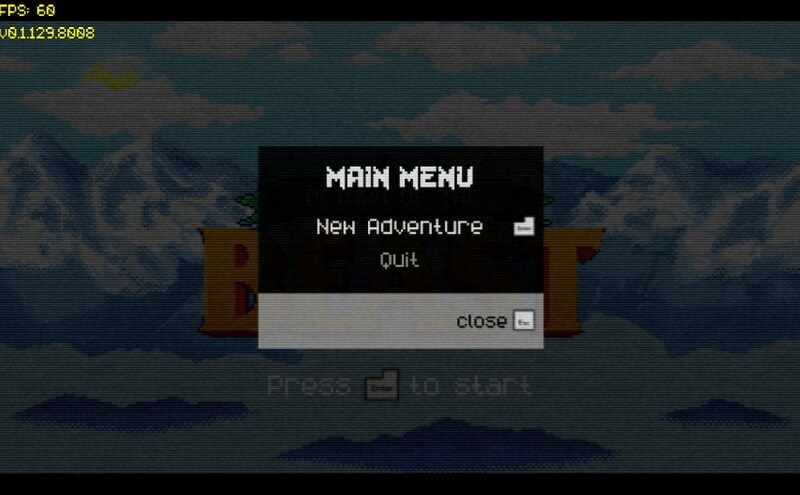 It has an animated title screen, some music and sound effects, a (small) over-world to walk around in and interact with NPCs, a game UI for status displays, working menu system, and a way to exit the game. It will be mostly an engine test without much gameplay. I plan to release the first alpha around May 10th as it is my birthday, and roughly a year since I started working on the project. Alpha v0.2 will get the first 'dungeon' and thus the first actual gameplay. Alpha v0.3 will have the first multi-level dungeon, ending in a 'boss fight' of sorts. The dungeons will be procedurally generated so even with a single dungeon should provide enough gameplay for testing. From Alpha v0.4 and forward I'll work on the main story line, adding quests and defining an end-goal for the player to reach. Alpha v0.5 will be my 'vertical slice' and should be a fun (albeit short) experience to play. Reception and feedback will determine the road ahead. A top-down adventure for a rainy Sunday afternoon.